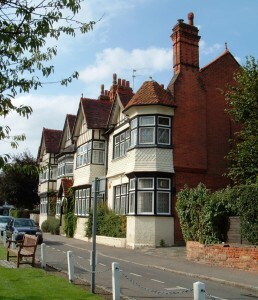 This pair of very big houses dominates the western end of the village as the Manor Houses do at the eastern end. They are also superficially like them in the variety of gable heights and mock-Tudor applied timbering. 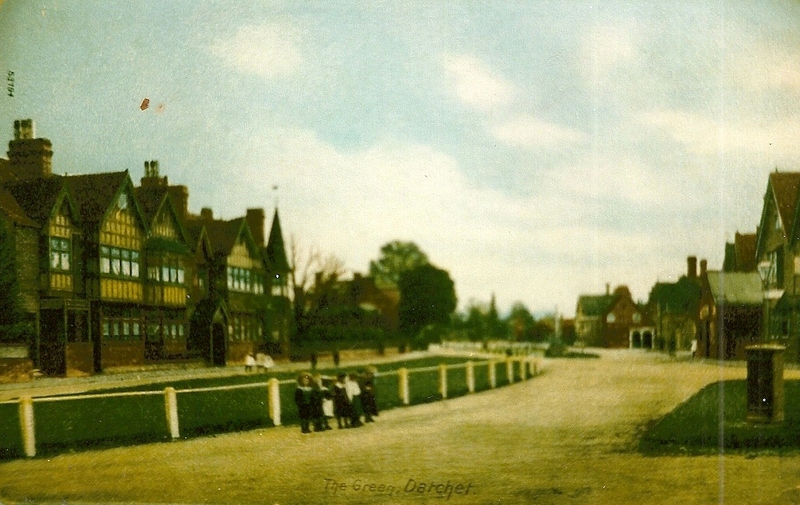 However, the Manor Houses date from the 1600s while Patrixbourne and North Green were built in the late 1880s or early 1900s. The style is a revival of picturesque Tudor and Jacobean features, which is typical of houses in the late Victorian period. Dating these two houses presents a problem because the 1876 O.S. map shows buildings of a similar footprint on the site but they don’t appear in the 1891 census or in Kelly’s Street Directories before 1900, and the present house names are first listed in 1911. Previously they were called Red Lodge and Redlands, and the coloured postcard shows that the bricks and tiles were in fact red rather than the modern cream. The turret decorating the east end of Patrixbourne has been reduced in size at some time since the postcard photograph was taken. Until 1866 there were two cottages on this site which belonged to the Goodwin family (part of the adjacent farm, see Hall Court and Hall Cottage). They were occupied by George Bennett, plumber, glazier and painter, and John Spawforth, a shoemaker.